Gary Milholland, a.k.a. 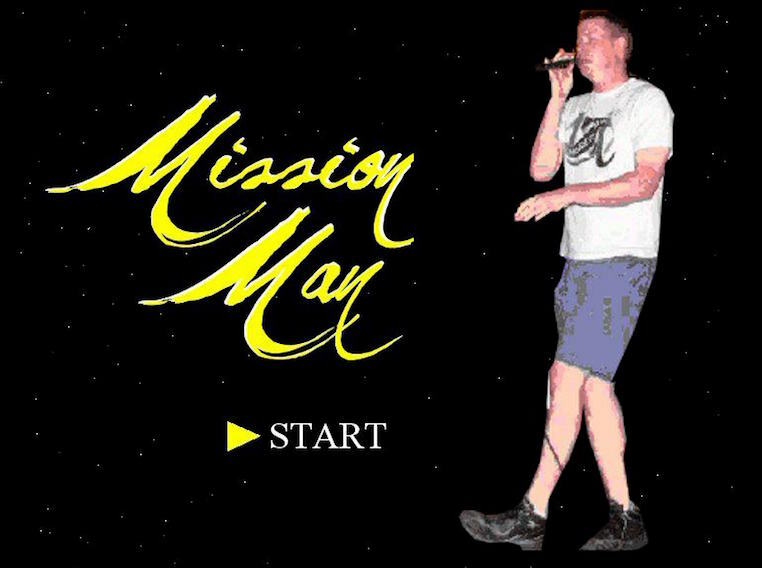 Mission Man, will perform Oct. 1 at Donkey Coffee. Check out the official video for his uplifting tune "Extra" above. Next year is a big one for Oxford, OH raised musician Gary Milholland. October of 2017, to be exact, will mark exactly 25 years since the rapper spit his very first rhyme at age 13. Nearly three decades and over a dozen albums later, the self-described “rapper without ego,” is still crafting hip-hop based on experience and emotional reality rather than bravado and swagger. Tomorrow Milholland, who performs under the stage name “Mission Man,” will bring his unique brand of inspirational rap to Donkey Coffee – a venue that Milholland expressed is just about perfect for the sort of show he intends to put on for his small but devoted fan base. If there is one thing that Milholland has been consistently passionate about since his career started, it’s connecting with his fans. From developing a video game on his website that is built upon images submitted by those who took a liking to his tunes to the forthcoming remix project (which will have 15 to 20 of his fans recreate some of his most popular songs,) Milholland is devoted to creating musically uplifting experiences for those who have taken the time to follow his career. Milholland said music has meant so much to him throughout his personal life that it was only natural that his tunes reflect a general message of resilience and hope. Next year Milholland will mark his 25th year in the music business with the release of 25, a collection of what he refers to as “career-defining” songs. “The songs on 25 are songs that the fans have latched onto, for the most part, although in some cases, they’re songs that sort of defined particular eras of my music,” said Milholland, who mentioned that two of those tracks happen to be “Birthday Song” and “Primetime Players,” which were particularly popular in 2004 to 2005 in Oxford. Milholland expressed that although his intent has remained the same throughout his career, one thing that has definitely shifted is the way that he creates music and the way he records it. “In 1996, my brother offered to pay for the release of my first album, so I wrote an album in about three and a half weeks because I was so excited and recorded the whole thing in a studio in three and a half hours,” said Milholland, who said a portion of the speediness of that recording stemmed directly from the simple way in which he was making his songs at the time. “In 1998, a friend of mine was trying to record with a set up I’d developed at home and it wasn’t working for him, and I said ‘well, it works fine for what I do,’ and he said ‘Oh, it works for what you do, and but it won’t work for music,’ and it kind of stung, it was painful statement – but I realized that he was kind of right,” said Milholland, who had been using solely a keyboard and beat machine at the time. Milholland’s following releases have utilized all types of live instruments, something he feels gives the recordings a more “complete musical experience” feel. 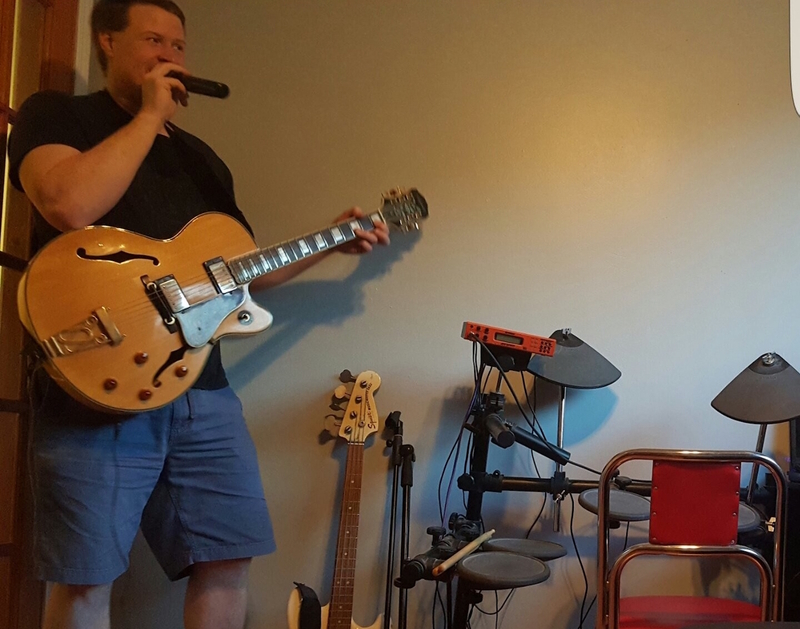 Regardless of whether you’re listening to an early Mission Man track recorded with bare bones equipment or a more recent, elaborate tune, his more recent, one thing is for certain: you’re probably going to feel better afterward. Milholland will play Donkey Coffee, 17 W. Washington, tomorrow evening. Hong Kong Rubber Bands will perform a short set to open the show, which kicks off at 8 p.m.